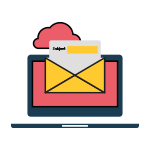 With so many ways to reach your customers, is email even worth it anymore? Absolutely! Here are a couple of stats that will leave you awestruck. When you work on a car that has been repaired at another shop, you may not know exactly what was done to it. SureTrack community member EddRSmith had a Scion xB in the shop where the engine had been replaced and during a subsequent oil change the oil level was higher than it should have been. Did you know TSBs could be your golden ticket to a quick fix? 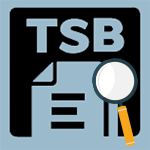 As a technician, you probably know a bit about TSBs, but there may be more to the story than you might expect. Nobody likes it when their engine stalls unexpectedly and it could lead to a dangerous situation if it happens while you’re driving. Follow this Real Fix to see how this stalling Isuzu Trooper was diagnosed and repaired. Another way Manager SE & SocialCRM work well together is by automating state inspection reminders. 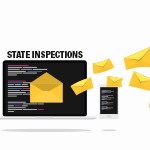 Not every state requires vehicles to be inspected on a regular basis, but if yours does, then, SocialCRM can make it easy to remind your customers. 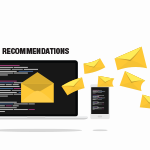 Using some kind of system that integrates with your management system is the perfect way to automate the recommendation reminders you send out. A popular modification to diesel trucks is called “rolling coal” which causes them to belch black smoke. But not everyone wants their truck to be an annoyance to the public. Follow this Real Fix to see how a problem with this Ford Super Duty caused it to have unwanted black smoke come from the exhaust. The entertainment systems in today’s vehicles have become a lot more sophisticated. 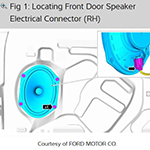 Learn how to use truck repair information to troubleshoot DTCs and diagnose and repair quicker. Maintenance during the winter months presents unique challenges. 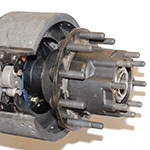 Ice, slush, and general muck on the roads take a significant toll on brakes and other exposed components.